Steven Pacey is narrating three of JG Ballard’s classic novels. The first is Empire of the Sun to be released in September, 2014. JG Ballard was born in 1930 in Shanghai, where his father was a businessman. After internment in a civilian prison camp, he and his family returned to England in 1946. He published his first novel, The Drowned World, in 1961. His 1984 best seller, Empire of the Sun, won the Guardian Fiction Prize and the James Tait Black Memorial Prize, and was shortlisted for the Booker Prize. It was later filmed by Steven Spielberg. His memoir Miracles of Life was published in 2008. 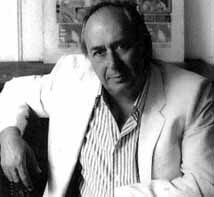 J. G. Ballard died in 2009. From the master of dystopia, comes his heartrending story of a British boy’s four-year ordeal in a Japanese prison camp during the Second World War. 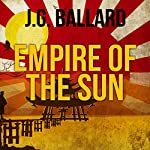 Based on J. G. Ballard’s own childhood, this is the extraordinary account of a boy’s life in Japanese-occupied wartime Shanghai – a mesmerising, hypnotically compelling novel of war, of starvation and survival, of internment camps and death marches. It blends searing honesty with an almost hallucinatory vision of a world thrown utterly out of joint. Rooted as it is in the author’s own disturbing experience of war in our time, it is one of a handful of novels by which the 20th century will be not only remembered but judged.